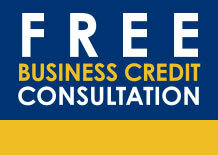 Laughlin USA - Fast Reliable Business Incorporation & LLC formation - What is Business Credit? Business Credit scores are the product of a business credit rating system that functions similar to your personal credit score, except it's attached to your business identity and tax information and not to you personally. Unlike a personal credit score, it's not automatically established by a reporting bureau so it must be established proactively. Most business owners do not have a reporting score, not through any fault of their own, but because they do not know how to develop a credible rating. Did you know that more than 95% of business owners use their personal credit to help fund their business? That could explain why more than 50% of small businesses fail in the first 3 years. Bottom line—don't use your personal credit to leverage your business. Start building your business credit profile and get the investment capital and trade credit that is the lifeblood of any small business owner's future and security. We work with business owners to establish a bankable credit profile, get usable credit, and get them ready to go to the lenders who will extend loans and capital. We take the guesswork out of getting money.